Backpack: Can we make an annual payment? Can we pay in advance? Your account owner can set up a lump sum payment option on the Account tab in Backpack. 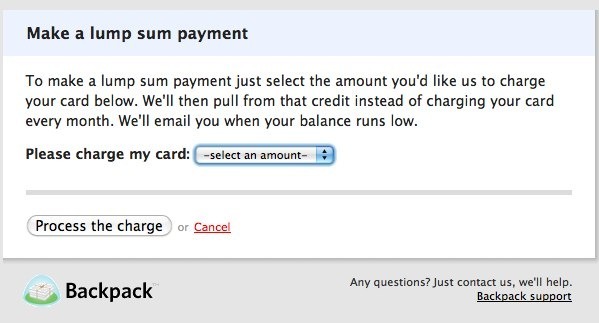 If you choose this option, we’ll charge the card on file for the amount you choose to pay upfront, then we’ll take your monthly fee out of that paid amount.